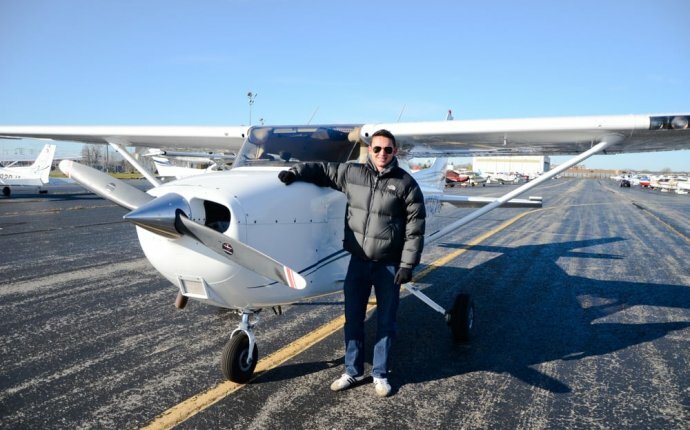 Learn to fly at one of the best flight schools on the East Coast. We provide both FAA Part 141 and Part 61 training programs and flight lessons. There are many things that make a great school and we have them all. Convenient location in terms of the variety of airspace available for your training, and just minutes away from NYC. A fleet of new airplanes - both modern glass cockpit G1000 and more traditionally equipped airplanes. FAA Part 141 certification, which gives you great peace of mind as you can be sure we are working at the highest of standards in every aspect of the flight training business - teaching, record keeping, flight operations and airplane maintenance. Professional staff - we have instructors and mechanics with tens or even hundreds of years combined experience – this is not something you can get just anywhere. Passion for flight and fun - we love flying and we want to pass this love of flying onto you. Knowledge of the industry - with thousands of students already in the airline industry we have the connections and we want to pass them to you - we organize periodic meet-ups where you can introduce yourself to airline and business aviation pilots, get to interact with them, ask them questions and get the real answers that are relevant to the real world of aviation. Deciding on starting a flight training course can go many ways - you may be able to go for it in a split second, or you may have questions, hesitation and some difficult situations to deal with. If it's a split second decision for you then we will be waiting for you at the reception. Your pilot license is awaiting. If it's not so straightforward then please give us a call. We will be more than happy to shed light as to what goes into flight training, what you can expect in terms of required commitment, how your flying lessons will happen and what results will follow based on what you are able to put forth. We may be able to help you with an unexpected difficult situation by simply talking to you and explaining some key points. So pick up the phone or fill in the contact-us form, and we will be happy to talk to you! Academy of Aviation is a unique place to learn to fly. You will enjoy every moment of it and most importantly you will finish your training with the confidence to tackle any airspace in the world and with the knowledge that you've been through one of the best flight training programs available. We wish you luck in your choices and we want to see you in person soon.